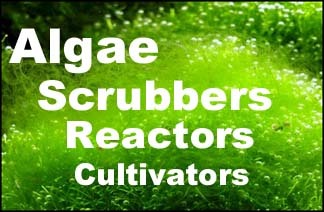 If there is a teacher of biology or science that would like to set up an aquarium for nutrient recycling study, or a cultivation tank for sea vegetable growth study, we can supply an upflow algae scrubber / seaweed cultivator for it. 1. The email request or private message must come from a school email address. 2. The teacher must be listed on that school's website. 3. Pictures of the classroom where the tank would go should be posted here, or included in the email. 4. The shipping address must be to the school. 5. After install, the teacher will post pictures of it here, or email them for me to post. 6. And of course, growth pictures are welcome, as are any study materials, to give ideas to other teachers.